You may not know it, but a separate nation exists within the borders of Australia. Lead by a man named Prince Graeme, the unrecognised principality is an island upon itself. Did you know that there is a micro-nation within Australia? The Principality of Hutt River, formerly known as Hutt River Province, has been in existence for almost 50 years, since it seceded from the Commonwealth of Australia in April 1970. Located nearly 600 kilometres north of Perth, Western Australia, it’s an isolated area of 75 square kilometres, roughly the same size as Hong Kong. The principality is “a constitutional, hereditary and democratic monarchy” and supports its own government. It may be difficult to get your head around the notion of a sovereign state within our country, so here’s a little history to fill you in on the principality’s origins and provide some information about how it functions. When wheat farmer Leonard Casley objected to production quotas being imposed by the Western Australian government back in 1970 and declared that the government was intending to resume his land, he decided to secede from Australia. He invoked rights established by the Magna Carta and claimed he was acting under the international legal principle to form a “self-preservation government”. He announced that his farm was henceforth an independent province, renamed himself “Prince Leonard of Hutt” and dressed in ceremonial robes and chains of office. He also gave royal titles to members of his family. A capital was established – Nain – and today houses a ministry of foreign affairs, a diplomatic security force, a non-combative defence force, a ministry of state, an historical society, and even a Royal College of Heraldry that bestows honours on worthy recipients. For instance in 2010, the composer of the principality’s national anthem was honoured with a knighthood, and is now known as Sir Keith Kerwin KCRO. Prince Leonard had big plans for the sovereign state he created. As well as forming a government, he decided that the Principality of Hutt River needed its own postage stamps and currency, and in particular a series of commemorative coins. These have apparently become prized collectors’ items. The micro-nation also has its own flag and issues passports to its citizens. The population is small – only about 25-30 people, but there are possibly between 8,000 and 15,000 passports held by “dual citizens”. Tourism and agriculture are major drivers of the economy. Tourists must obtain a visa before entering the PHR. It’s hard to find accurate tourism figures, and depending on which report you read, annual tourist numbers could be anything between 7,000 and 40,000. But back to the history. When he seceded from Australia, Prince Leonard declared that it was a completely justifiable move. Over the years, he received communications that he stated validated the existence of the Principality of Hutt River as an independent state, including a letter from then Governor-General Sir Paul Hasluck addressed to the “Administrator of the Hutt River Province”. Hasluck had also apparently advised the Commonwealth that it had no constitutional authority to prevent the secession. Then, in 2016, on the 46th anniversary of its founding, Queen Elizabeth II sent her congratulations to the micro-nation. Prince Leonard was delighted to receive what he called “official recognition” of the principality by a fellow royal personage. Yet although the principality claims it is a sovereign state, its status as such is not recognised by Australia or indeed any other nation. The High Court of Australia, the highest court in the Australian court system, maintains that the principality is subject to Australian laws. Taxation seems to be the most vexing of issues and over the years Prince Leonard been involved in a number of disputes with the ATO. His defence is that he is a “non-resident” of Australia. In February 2017, Prince Leonard, then aged 91 and in poor health, abdicated in favour of his youngest son. Prince Graeme has said he’s committed to improving relations between the Commonwealth of Australia and the Principality of Hutt River. Things came to a head in 2017, when the Western Australian Supreme Court ruled that the micro-nation was in debt to the ATO to the tune of almost $3 million, but Prince Leonard and his son Prince Wayne (who owed the ATO nearly $250,000) argued that the court didn’t have jurisdiction over their state. This defence was thrown out by the court and the appeal case was also dismissed. At the time of writing, the PHR is working to fight these decisions. Over the years, the PHR has attempted to establish diplomatic relations with other nations, and there are unconfirmed reports that people have travelled internationally using PHR passports. The Australian government, however, has been quick to inform other countries that the micro-nation has no legal status, so gaining international recognition has been an uphill battle. In February 2017, Prince Leonard, then aged 91 and in poor health, abdicated in favour of his youngest son Prince Graeme. Australian Prime Minister Malcolm Turnbull was asked to the abdication ceremony but declined the invitation as did then premier of Western Australia Colin Barnett. 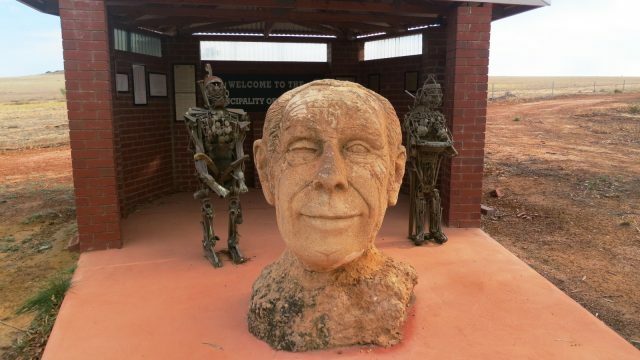 In spite of these snubs, Prince Graeme has said he’s committed to improving relations between the Commonwealth of Australia and the Principality of Hutt River. He’d also like to see more people settle within the PHR. There are those who admire what the Casleys have done – standing up for what they believe in and maintaining their independence. Others argue that having substantial land holdings doesn’t give anyone the legal or moral right to remove themselves from the rest of the country and refuse to pay taxes as everyone is obliged to do. Prince Graeme however remains resolved in his desire to continue the legacy of his father Prince Leonard and will fight for the continued prosperity of his land. One thing is beyond doubt – the Principality of Hutt River takes itself very seriously indeed.